For over 20 years, Cary, NC has known that Comfort First is the company to call for expert heating and air conditioning repair services. Our Cary, NC reviews show how we hold your heating, cooling and home comfort above all else! See what your neighbors are saying about our services below. Great service, prompt, friendly, knowledgeable, and efficient— a real value and great customer experience. Cody is a great technician! The technician was prompt, thorough, and took time to explain the problem. Great service! Cody was great. Efficient , very thorough and friendly. Always a pleasure working with Comfort First. Just finished installing a Mitsubishi 1.5 ton Ductless Mini-Split. Proposing two new HVAC comfort systems. Complete: 2 Systems: worked on downstairs Goodman Gas Furnace: No signal on thermostat. Found disconnect box fried. Installed new truck stock disconnect box. Rewired, cycled system on and off a couple times and is working great at this time. Lennox straight AC and gas furnace system not regulating AC. Found system working properly gave home owners some tips as to how to better maintain system. 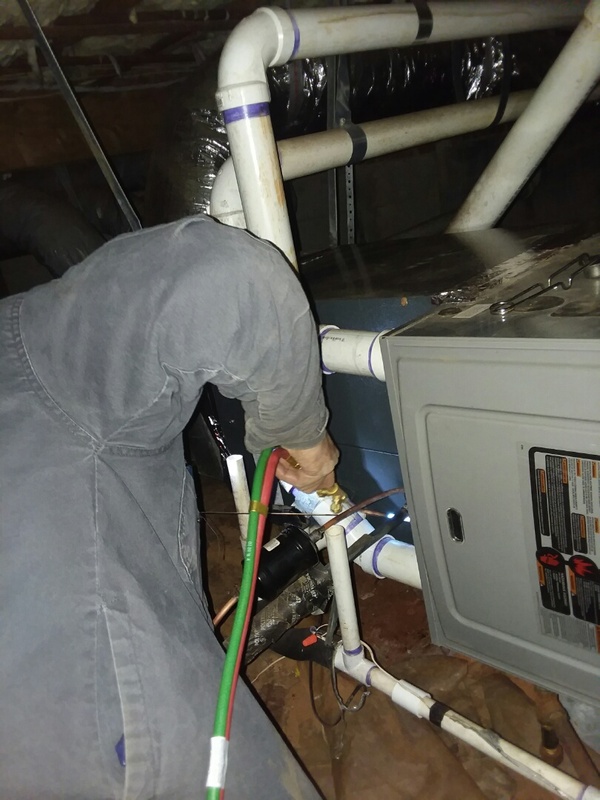 Complete: Trane Gas Package Unit: HSA Maintenance: Checked the Amp Draws on the blower motor. Checked the capacitor. Checked charge, compressor, Evap coil and condensation lines. Washed it cleaned it out. System looks good and working good at this time. Complete: installed 1 Nest thermostat. Once we installed the thermostat we realized that the doorbell to the home was a wireless doorbell. The wires behind it had been cut to close to the wall to access the wire. Homeowner is going to get an electrician to come out and run new wire and install a chime. He will call us when that takes place. We did bring the doorbell back with us for now. He paid the remaining balance for the thermostat.